Hey, hey! What’s up everybody! It’s wonderful to have you back on another episode of The Amazing Seller. On today’s show, Scott has invited his buddy, Chris Shaffer to join him for a very special, first time experience. 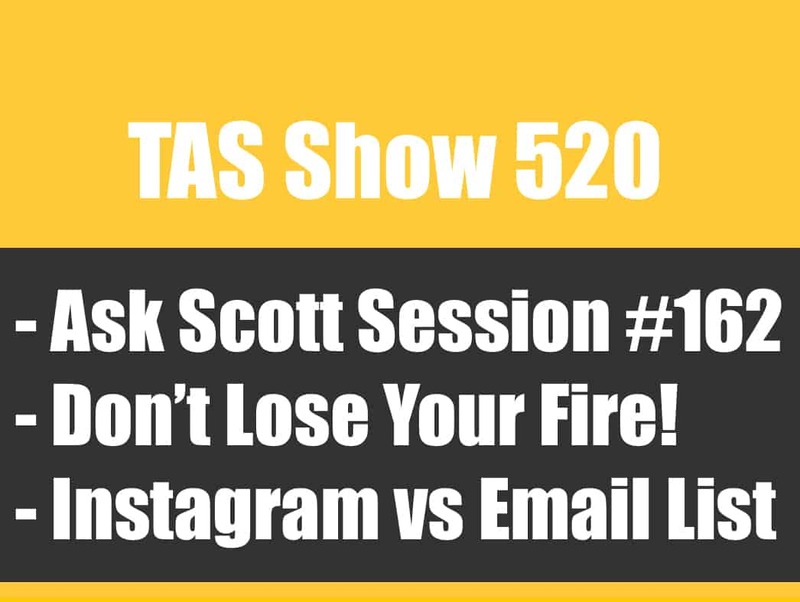 Scott and Chris are going to be doing what Scott’s come to refer to as a “hot seat.” They’re going to take a real product, sold by a real TAS community member, and are going to evaluate the strategies being used to sell the product. This is the same format Scott’s going to do at an upcoming live event in Denver, Colorado, so listen in to get a taste for how this event could benefit YOUR product sales. The product is live, the listing is good, but it’s not selling very well. Today’ Scott Voelker is doing a “hot seat” where he and Chris Shaffer are evaluation a real Amazon product to help increase sales. Ebony has submitted her product for evaluation because she’s got plenty of reviews, a good product listing, and can get to page 1 with PPC, but the minute she stops doing Pay Per Click campaigns, the product drops to page 3 or worse. What should she do? Scott and Chris have some very helpful insights for Ebony that are likely to help you do it right the first time, so be sure you take the time to listen. Consider seasonal products a second time. 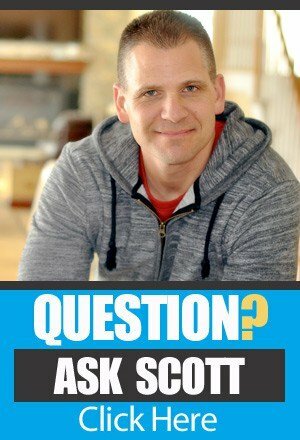 On this “hot seat” session of the Amazing Seller, Scott and his friend Chris Shaffer are evaluating a product that isn’t selling very well in hopes that they can increase its ranking on Amazon and increase sales. As they look it over, it’s clear that this is a seasonal product, which is not entirely bad, but it’s also not a product you can expect to have consistent sales all year round, which would be very nice, wouldn’t you say? So when you’re thinking about selling a seasonal product, you might want to think again before you pull the trigger. Or, you may want to consider other products you could offer to fill in the gap during the down times. Depth of market is the HUGE issue for most products that don’t sell as expected. When Scott Voelker talks about product research, one of the terms you’ll hear him use over and over is “depth of market.” What does he mean? He’s talking about determining whether or not there is actually “room” in a particular product market for you to introduce another of the same type of thing and legitimately expect that you’ll be able to gain a significant foothold. If you don’t do your market research well and for a long enough period of time, you may be setting yourself up for frustration. On this episode Scott and his friend Chris Shaffer give a good amount of time to the process of market research, so make sure you listen so you can understand how to do it the right way! What kind of 2nd product should you offer? Today’s “hot seat” participant has a product that isn’t selling as well as she’d hoped. One of the solutions to the issue may be to offer a second product to her offerings. That way she could either bundle it with her original product to offer a completely new product, or she could choose a product that offsets the down-time of her original product, which is seasonal. 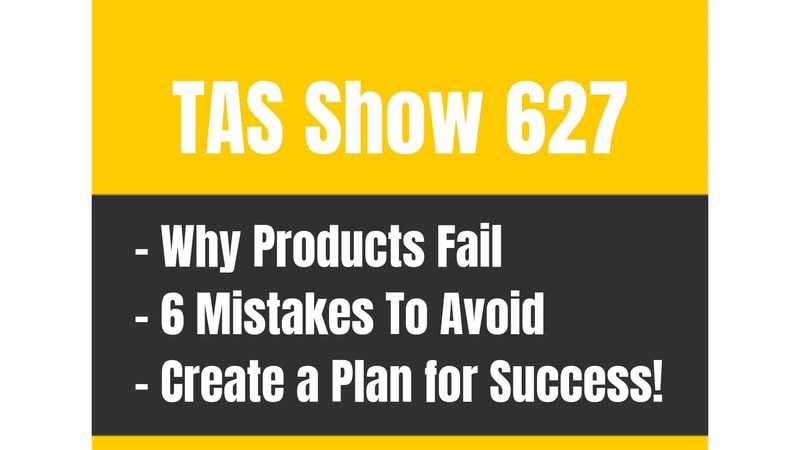 Scott’s got some good insights into how you should think about the process of choosing a second product, and he’s going to share it with you on this episode, so be sure to listen! [1:20] Scott’s first “Hot Seat” session, featuring a real Amazon seller and his friend,. Chris Shaffer. [2:21] How you can get in on Scott’s FREE live workshop. [2:55] Introduction of Chris and Ebony, today’s participants. [7:08] Ebony’s situation and product story. [8:43] Chris’ first thoughts about Ebony’s approach: two things. [9:20] Depth of market could be a problem. [9:45] Seasonality could be an issue as well. [10:44] The importance of the key product research tasks. [14:50] Scott’s suggestion about adjusting the approach. [15:35] Another approach from Chris regarding tweaking the PPC campaign. [20:20] Why Chris would not give up on this product. [24:04] What is the strategy to try to get the product to page #1? [28:01] A good product, a great listing, and how to get more exposure. [28:40] Choosing other products for your ideal customer to buy. [32:10] How these hot seat events will work in a live setting (coming up). [35:20] A new resource for you on every episode of the podcast! 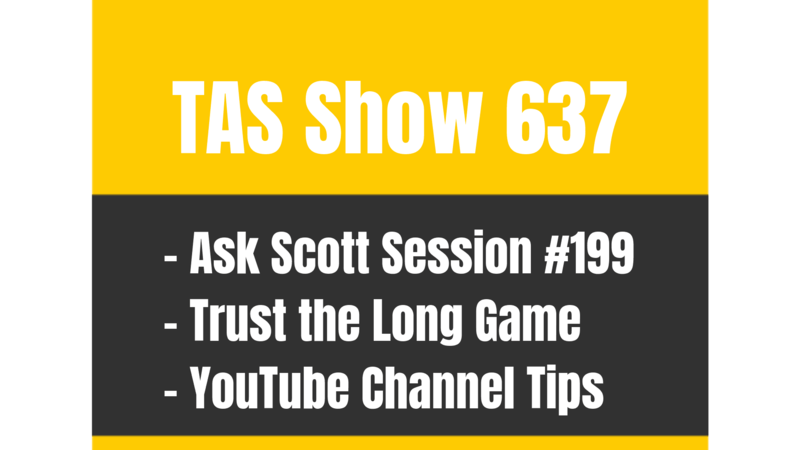 TAS 162 : (Hot Seat) (Hot Seat) Why Are My Sales Slow and How to Increase Them? …I’m going to go ahead and break it down and work through that problem publicly here. I’ve invited Chris Shaffer on as well. Just to give you a little bit of a back story, we just recently announced that we’re doing a live one day breakthrough event. Well we are going to have, 30 Amazon businesses sellers come to this event and we are going to have ten hot seat sessions. We’re kind of practicing here, we’re getting into the flow, and seeing how things are going to go back and forth because that’s we’re are going to do here. We’re going to go back and forth, we are going to give our opinions, what we would do, some of these different scenarios and stuff like that. I do have to give you another little story. The hot seat session that I am doing is for someone that I met in North Carolina when I was there house shopping, which we’re actually moving to South Carolina. Her name is Ebony McClary. We met at a little coffee shop, her and three other people. We sat around and actually we did a Periscope that day. I’m going to link up the Periscope session that we did that day on the show notes to this episode, episode 162. This way here, you can listen if you want to and it was really fun but the thing is, she didn’t even have her product launched yet. She was in that pre-launch phase in a sense. You can hear where we were there and then now where we are and what we need to do moving forward. Enough of me rambling here. I did want to just set this up and let you know that am going to be doing more of these in the future and we’ll go ahead and we’ll publicly put this out there. This way here you can hear the brainstorming in the thought process of going through this because everything isn’t always going to be perfect. You guys know. I’ve said that from the beginning. You are going to have roadblocks, you are going to have things that come up. That’s what I want to do here. I want to expose that and I want to give you guys like an inside look as to far as what that would look and feel like. All right. That’s that. Before we do move into this, I did want to remind you, if you guys are brand new and you guys are brand new to this whole FBA private labeling thing, we do a live workshop that’s similar to this at the end, where we’ll actually go through and answer your live questions. If want to attend one of them, head over to theamazingseller.com/workshop and the Chris and I, both answer live QnA there. We go through the five phases for picking your product, launching your product, and everything in between. All right. We’d love to have you attend that. All right. What do you say? Let’s go ahead and listen to this hot seat session that Chris and I did with Ebony McClary. [00:02:59] SV: Okay Chris Shaffer what is going on my friend? How are you doing my man? [00:03:03] CS: Doing good man, how are you? [00:03:05] SV: I’m doing great. I am doing really good and I’m excited to do this today and that is this hot seat that we are going to do here. We’re going to try to do a few more of these because we are getting in training here for our live event, that we are going to be doing ten of these that day. We are going to get warmed up. We are going to do one today. What do you say about that? [00:03:25] CS: Feel like we need some like rocky montages. Then we kind of went back and forth. It wasn’t just a question, it was like questions because she’s struggling to get her product going. She had some questions so I said, “Let’s just get on there and Chris can give his points of view and I’ll give mine, maybe we’ll agree, maybe we won’t.” Let’s just go ahead and be able to try to help and this person and see what the problem is. Now, she did share the product with but we aren’t going to be talking about the product. We are just going to give our thoughts as we are looking at it but also we’re going to be able to look at the data before you would even look at the product. I think that’s what is more important here is. It’s to kind of look at all the elements that are around the product and maybe why it’s struggling. Does that sound good? [00:05:03] CS: Sounds great brother. [00:05:04] SV: All right. Let’s go ahead and do that. Let’s go ahead and listen to the question or the struggle or the sticking point because that’s what we are doing. Let’s just pretend we are there in that room right now Chris. We are in the room, we’ve got 30 people in the room right now and that we’ve got a lot more listening but let’s say we’ve got 30 people and we’ve got this hot seat getting ready to go here. By the way, I should give you guys a little bit of a story. Chris I think I told you this. I met Ebony, her name is Ebony McClary and I met her and Charlotte. Some of you, that are long time listeners, probably remember that. I even did a periscope. I was in North Carolina, South Carolina that area and I was looking for houses that we are going to be thinking about into or a house and we’re house hunting. My listeners knew I was there because I told them I was going to be there and I was invited to a little meet up and they said, “We were meeting at this coffee shop, we would love for you to come.” I said, “Where is it?” and it was like fifteen, twenty minutes from the area that I was going to be at at that time. I said, “Yeah, why not?” So we hang out there. Ebony was there and she was just getting her product going and, she didn’t tell me the product at the time by the way. She was just talking about what she was doing and where she was in the process. Then from there she followed up, said she launched and then now she emailed me again, probably about six seven months later. Well no, five months later I guess it is. Now she’s struggling with where she is in the process. That’s where we are just to get you guys caught up Chris I don’t know if you knew that back story or not. Ebony, she was someone there that was sitting at that coffee shop with and we were having a great conversation just about Amazon in general. Did you know that Chris? [00:06:45] CS: Now that you say that, I actually remember her because I watched that scope. I didn’t realize that was the same person till just now. That’s really cool. [00:06:51] SV: Yeah, yeah I know, it was really cool. All right. Anyway guys let’s go ahead and listen to the hot seat with Ebony and we can go ahead and go back and forth and let you guys know what we think that we would do in this situation. [00:07:07] EM: Hello Scott. This is Ebony from Charlotte. First off, I want to thank you so much for all the guidance and support you provide us with each and every week. You continue to be an inspiration to us all. To give a bit of a background on my question, last May I started the research phase for my Amazon business. I received and started selling my first product in September. Unfortunately, by the time I went to market with my product, it was highly saturated with other sellers selling the same product with minor tweaks. First I assure my title, bullet points description and images were solid. I created my keywords, I ran a small promotion and I started pay-per-click. I have completed several promotions and gathered about a hundred reviews to help establish my credibility. When I ran a promotion selling five to ten products per day, my product displays on the second page, from my main keyword. When I’m not running a promotion, I’m only selling about three to four units per week and my product falls to third page in my BSR tanks. Over time, I’ve tweaked my keywords and pay-per-click campaigns and budget. The more money I invest in pay-per-click, the more sales I obtain but it is never enough to cover my expenses. So far, I’m always in the negative. My question is, do you have any advice for how I can increase my sales without spending a great deal of money and breaking the bank? Thank you so much Scott, I really appreciate it. [00:08:36] SV: Okay, Ebony thank you so much for the question. Very clear message I have to say, your mic is sweet, it was really good. Yeah, I’m ready to dive in here Chris and I know you probably have some thoughts here. You and I did a little bit of looking at her product and the market that she’s in and stuff. Did you want to have a first stab at this? [00:08:59] CS: Yeah. I think the first thing Scott is she started research last May. That’s good for a lot of things but there’s two key things that I think either she needs to go back and look at again or just learn from in this experience in general. That everybody in the TAS community, and you and I see this all the time in product research. Two really big things that people need to pay attention to. The first is depth of the market and understanding that even though the total sales look really good, understanding that distribution of sales. Just based on what you and I looked at quickly, it looks like the top couple sellers are selling a whole bunch and everybody else is kind of dripping along, which you can kind of hear her say because if she does, the five or ten sales during a giveaway, she’s getting somewhere close to that second page but other than that, she’s only selling a couple a week and it looks like a lot sellers in that market are having that same experience. I think the other thing that I pulled away from this is taking look at the seasonality of a product. Based on when she started her product research and knowing what the product is, it would have been very, very hot around that time. It would have been a really good product to look at but the step that a lot of people miss and something that I think she should take a look at and know if she hasn’t already, is that she does have a more seasonal product than something that you and I would generally would generally tend to look at. This summer is going to be a better time for her products than right now, which is January. Not a lot of people are going to be using it right now. I wouldn’t lose complete faith based on that, just know that it’s going to be hot starting right around now and moving into summer , it’s going to be the best season for her. Is that something that you took away too? [00:10:46] SV: Yeah, I totally agree with everything. I think it goes back to again product research guys, I mean it is like the main thing that you need to understand. Really just those key components that we’ve talked about before, meaning things like your depth of the market and then also the sale price. Looking at the sale price also, in this here, I look at all the prices and currently they’re all still rate around $19.99 which is great because I’m assuming that this product was sourced for probably around $4.50 or $5, probably no more than that. The margin is there and all of that. You are probably going to make your $10 per unit-ish, somewhere in there. Currently right now, the question that I would have for myself is like, “Okay if I get on page one, right now for this golden keyword – this keyword, if I get there.” I just had this conversation Chris, with someone that I did a short little coaching call with yesterday. For those you … I do not do private coaching call, like getting paid for. What I do is, I do them as one of our giveaways when people join the class. I’ll do that as, it’s like a prize that we do so when I mention these coaching calls, they are like a thirty minute coaching call that I do as a bonus. I don’t want everyone that email me being like, “Scott, I heard that you said that you did it and you told me that you don’t do it.” Well, I don’t do it, I don’t like … You can’t hire me to do that, let’s just say that. I’m looking at the first page here in Jungle Scout right now, the top 18 that is, and the very first one that is selling for this golden keyword is only selling 984 a month. Now I say only and a lot of you are like, “Scott that’s ten per day, that’s more than that.” You’re right, you’re absolutely right, that’s like 30 a day, right. If am doing my math correctly. But then we go to number two 210, we go to number three 409, we go to number four 123, we go to number five 245, six 196, seven 156, eight 61, nine 78, ten 183, eleven 121, twelve 188. Right. Your very best, your very best you’re going to do, forget about number one spot, the very best you’re going to do if you don’t hit number one is you are going to sell between two and three hundred right now. You are saying to yourself, “Wow, Scott there is your ten by ten by one and you’re right but, you need to get there. What’s it going to take to get there?” In this case, I would look at this numbers too and I’d say, “Well, if I want to get on page one and I want to start selling my five or seven a day because it’s about what you can guess that you are going to do. If I wanted to do that, what’s it going to take me to get there?” I would say you have to give away probably 15 to 20 units per day for five days as a promotion for that keyword. That’s going to to hopefully get you on first page. Now once you get to the first page, do you have everything else in place? Do you have good images? Do you have good titles? Do you have a good offer? Do you have good reviews? It’s one thing to get people there, once we get on first page, but now are we going to convert them? I did look at Ebony’s listing. It does look pretty solid. Images look great, heading or title looks great, bullet points look great, they are all benefit driven. I don’t think it’s a problem of her making sales. It’s a matter getting on page one but again you have to ask yourself, what’s it going to cost you to get to page one? If it’s going to cost you a lot of money to get there, it might just not make sense because we are looking at the numbers right now. Now, in the busy season- or when you start to get to the busy season, I would do it a month before the busy season to get myself rooted there, that might be the time that you do this. My suggestion here again and not falling in love with the product. My suggestion here would be, continue to run maybe a really like campaign for this product just to keep some sales going so you are not falling off the map. I wouldn’t do a huge give away right now but I would start thinking about other products that are not necessarily in this space … You want to around this type of activity but you don’t want it to be this style of product because again it’s seasonal. We want to find something else that maybe this people are interested in, in this market that could be year around or could be at other times of the year. This way here, you can balance out your portfolio. Chris what do you think. I’m going to let you have a stab at this now. [00:16:04] CS: Let me get there. You know right now let’s just focus on this product for a second. To get to page one is great. We absolutely need to do that and I think just the thing again, the thing that was missed is the depth of the market. By all other metrics, by price, by reviews, by total sales volume in the market this product looks good. Again, the seasonality, and then the depth is the thing that would kind of distract me from that. That being said, you still can hit that eight, nine, ten sales a day even right now when it’s not the hot season for this product but you do have to get to page one. I would, Ebony take a look at Google trends, see when the hot season for this is, and do exactly what Scott just said. The other thing that I would look at, is those PPC campaigns. She said she’s done it, she does make more sales when she does it but she doesn’t do it profitably. Right. That tells me that there’s work to be done and that she can probably test and tweak a lot of those campaigns so that they are profitable. The question that I would have, without her here in front of us to answer, we don’t know is, “Has she played around with any of the new keyword types?” I would do that. I would take a look at the customer search term reports that we talked about back in and said back in episode 129, Scott and take a look at the phrase and exact match PPC options based on the keywords that are actually performing the customers’ search terms, which the customers are actually typing in and I would start playing with PPC on this as well probably before I went and sourced another product just to see if could find a profitable PPC campaign and even just pick up an additional one or two sales a day. She’s taking it from three or four a week, to six or weight a week. Does that make sense Scott? [00:17:50] SV: Yeah, it totally makes sense. I don’t think that it’s out of the ordinary to be able to, like you said, go and create a little campaign that generates you some steady sales that’s not losing you money, that you can actually either break even to keep that velocity or to just keep yourself getting rooted because I think Danny Brewer talks about that. It’s like you’re creating roots by being on that first page and if you can keep that going, even if it’s just a breakeven for now and then when the hot season comes, then it’s easier to rank higher and longer and all that stuff. The other thing that I wanted to point out real quick is for people that can’t see what we’re looking at is like, I’m looking at also like the reviews. All of the reviews aren’t that high. The number one is you have 574 but the second one is 331, the next one is 31, the next one is 46, the next one is 96 and the next one 479, that’s a major brand by the way, then 119, 16, 66. She’s got I think 90 some reviews. I don’t think that’s the problem. I think the problem is getting ranked but like you said Chris, yes let’s say– and we’re only looking at page one for this one keyword and there’s a lot other keyword’s. Here’s the one thing that people might not look at. We’re looking at page one for this but we’re looking at the overall estimated sales for the month collectively. This doesn’t mean that these people are getting all of their sales through this keyword. This is all of the keywords. I kind of agree with what you are saying but I also say I wouldn’t spend too much effort there because regardless – if you blanket the area with all of your keywords, you are probably not going to exceed what these are selling because the others 18 on this one page and collectively if we added those all up, you’re still not going to be probably at your three thousand, I mean it’d be close. Thoughts, Chris? [00:19:52] CS: Yeah, that’s completely valid. I think the only caveat to that is, yes even if you do blanket all the keywords you are not necessarily going to sell 20 a day, 30 a day, whatever that is. If she can get this to eight or nine a day, if she can get to that third or fourth spot for this keyword or whatever the main keyword is that’s driving most of those sales, even at her break even PPC where she’s not losing money it can’t hurt. I know you have a product that does a couple a day and it’s just there and it does that and then it has a little bit of a hotter season and it’ll do more than that but as long as you’re not losing money on it can’t hurt to have it there so that when the hot season does pick up you might jump to 20 or 30 a day. Right. This isn’t something that I would flush by any stretch of the imagination. [00:20:42] SV: No, not at all. [00:21:12] SV: Yeah, now that makes total sense. Again, I’m looking at the numbers here and just to give people a visual all the way down to number seven. Let’s say one through seven. There’re 150 or more. I’ll work myself backwards. Spot number seven is 156, number six is 196, five is 245, four is 123, three is 409 and two is 210 and obviously number one is 984, they’re taking most of the sales. Here’s the thing, if you’re selling even four a day for a month, that’s 120. Again, like you’re saying, to keep some sales going and to hopefully get yourself ranked on page one so when the traffic does come back, you’re there. I think that’s what it means. To me personally it would be, like you said Chris, go ahead and try to find two or three campaigns that you can run that are going to be either breakeven or profitable and to do that consistently for getting yourself consistently ranking so this way when you get that traffic you’re there. On the other end of this, if I was giving more advice it would be, “Okay, now start looking at product number two and what product could you roll out now that you’ve learned this and what to look for.” Then from there start deciding if there’s something that you can roll out in this market that could be a little bit more year round or even something that was going to be hot now but not in the summer months, let’s say, so you can have that balance. That would be my advice moving forward from what we’ve learned so far from Ebony and you Chris? [00:22:58] CS: I agree with that completely. Again, the first thing is to stop, not necessarily stop the bleeding, but get this headed in at least the right direction which is get it to a place where it is selling a couple a day so that she’s at least break even on it and then when the hot season comes it’ll take off and she’ll sell a couple a day. Again guys, Scott, you mentioned earlier , generally speaking in this market products are around $19.99, she’s probably sourcing it for four or five bucks, which means after Amazon fees she’s probably making around 10 dollars on organic sale. Right? [00:23:31] CS: Even if she only ends up selling four or five a day during the hot season that’s 40, 50 bucks a day, that’s nothing to shake a stick at. It’s not 100 a day which all of us would love but it’s four or five a day, that’s a good product. It’s not necessarily our goal right Scott you and I talk about ten by ten by one, but it’s a good product and it’s making profit. If you can get it to that point, go for it. 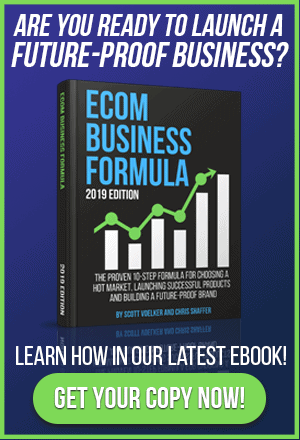 The second step in that would be to find something that can be that ten by ten by one, that twenty by ten by one, that next product that is going to sell at a higher volume and more consistently for you. [00:24:06] SV: Let me ask you this Chris, because this is a question that I know that she may be asking. Now what? What do I do right now to try to get myself on page one? Do I do a giveaway and try to force myself there? Do I just run pay-per-click for that keyword? What is your strategy moving forward? I’m asking you, what would you do Chris? You’re consulting me right now. [00:24:24] CS: For me, if this was a product that I’m working with, I wouldn’t do a giveaway right now. I would wait until, like you said Scott, right before the hot season which is a couple of months from now. Again, Ebony, check out Google Trends, you’ll know when that is. What I would do right now for this product is focus on the PPC, really drill into that search terms report and find … There is more than likely a keyword or a key phrase or a couple in there that are going to make you money or at least break you even and that would get you the number of sales a day that you need not necessarily for the … I think I figured out what she is considering the number one search term, Scott, and it’s different than the one that you and I were looking at. It won’t necessarily get you to the first page for the main one but it will get you to the first page for the more related ones that you and I were looking at Scott. That would be my goal for right now because if you’re there now you’re going to stay there during the hot season and then if you add the giveaway on top of that there’s a good chance you’ll hit the first page for the bigger, broader category keyword that I think she is targeting specifically. [00:25:28] SV: The other thing that I would test here Chris because I’m looking at this too, I’m looking at number three spot and they’re selling 409 so they’re like the second highest, but they’re also one of the lower priced ones, they’re $16.95 versus $19.95. I would probably then lower my price and give it a shot, what do you have to lose. Right? You’re not going to really lose anything if you do this other than, a little bit out of your margin but you’re not going to lose any money, per se. I would say I would go even as low as like $15.97 and I would see what that would do. If you start getting seen in different places not just for this one keyword that you’re going after but you start getting seen, people will see that and then that could be the buying decision for them. Right now, yes, you don’t want to have to compete on price but for you to start getting the volume of sales and start to get a steady flow of sales, three, four, five a day, that could be something. I just recently played around with this myself. I did this on a product and I publicly talk about this, where I was selling that thing for as high as $22.97 at one point and then a bunch of competitors started coming in. I was still the highest and I still am the highest but most people right now are selling it between $11.97 and $12.97, sometimes even $9.97 and I’ve lowered mine as low as $12.97 and that really boosted my sales. I did that for like two days and then I raised it back and ever since fourth quarter I’ve just raised it back to I believe now I’m at $15.97 for that , which I’m still making about six or seven bucks on that. So, it’s not really where I want to be but it’s where I have to be right now but I’m still higher than a lot of my competitors . Price for me really did help to spike sales short term without running a promotion. It’s worth testing, I would say definitely test that. [00:27:13] CS: Yeah, and I think especially because of the seasonality of this product that it can’t hurt right now. Everybody, almost everybody else in that market is above $16, $17 so if you drop it … Scott you said you could go as low as $15.97, I’d start around $16.99 probably. That will at least put you on par with everybody that is that “lower price point.” You do have more reviews than most of those people so chances are you’ll stand out especially at that price point. Then if you start to rank on some of these longer tail search terms you’re going to drive more sales volume, Amazon’s going to see you as more relevant for that main keyword and you can start to really fly wheel from there. Does that make sense Scott? [00:27:55] SV: Yeah. It makes total sense and I love it. I think, again, just to reiterate what we’ve talked about here, I think if you’ve got a good product, I think that you’ve got a great listing so all of the framework is in place. Now it’s just a matter of traffic. You can only get so much traffic of the traffic that’s there, we can’t produce more traffic in Amazon, It’s the traffic that’s there because we’re on that platform. Taking this a step further, we’re not going to do this but you could if you had a presence of social media, if you had a following there, if you had a following or if you had a Google site, a website that is getting traffic then you’re going to pick up sales there. There’s other avenues as you move forward but I wouldn’t say spend a ton of money to get that stuff up and running right now because it’s going to cost a lot of money to do that and you’re risking more than you would if you were just to roll out another product that could complement this product or that could be to this customer. Again, I want people to understand that when you’re rolling out another product it doesn’t necessarily have to be like a product that’s going to attach to this product necessarily, it just needs to be something of what your customer would be buying. In the mindset of that customer there’s other activities, if they’re not doing this activity in the summer they’re doing something else in the winter. Figure out what that activity is or that hobby or whatever it is and then go after that as your next product and then they can help each other through this process. That’s my last little bit of advice here. Chris do you have anything else you want to add before we end this hot seat session? [00:29:35] CS: No, let’s just summarize it and Scott, if I miss anything feel free to jump in and yell at me. The thoughts collectively that we have is, the listing looks pretty good. You can play around with the headline all you want, you can do some of those kinds of things. It looks pretty good. I would leave that the way that it is. Consider price testing, maybe drop it to $16.95, $16.99 if you can still make a little bit of a margin on that to see if that spikes your sales. Really did into that customer search term report for PPC and see if there are any winning phrases in that and Ebony if you haven’t listen to that 129 Scott and I dive into the full strategy for that in that episode. Then I think the last one was right before the hot season and Ebony you know what your keywords are so go to trends.google.com, type them in there, see when the hot season is. Right before that is when you’re going to want to do that next big promo giveaway to really spike your rank for the keywords that you know are going to produce sales for you. Then the last thing was, find a similar product or a product that fits a similar audience through a variety of different things, social media, just through traditional Amazon product research and see if you can bring that in to complement the sales that you’re going to get from these. If you do all of those things I think you can turn this around and make this into something, maybe not that’s getting 10 a day but probably that’s getting three or four a day and if you add that second product on top of that I think you’ll be good to go. What we always talk about is if we were looking at these number and you went all the way down to listing number 10 or 12 and they’re still generating three, four hundred sales a month right now consistently, then we know that we can even come in that low on the ranking on that page or for that keyword and we can probably scoop up a good majority of those sales. That’s what we talk about with that abduct the market and this is another great example of why depth of market is huge when picking a product. That’s pretty much going to wrap it up and this has been awesome, it’s going to be a little bit different though live Chris, actually a lot different because we’re going to actually physically have a person in the hot seat. Then this would be Ebony and then we’re going to have you and I sitting there, being able to do this live. Then we’re going to also have everyone that’s attending chime in. We’ve got people that are going to be coming here that are already selling successfully and they’re going to be able to add their takes on what they might do or something that they tried and it worked and all of that stuff. I’m really excited to have this live energy as well so I’m really, really pumped up about that, I know you Chris, you are as well. If anyone is looking to possibly attend one of these in the future, if we do another one which we’re not 100% sure yet, Chris, we’ve got to test this thing out and see how it’s going to work and see if we can break something. [00:32:58] CS: Yeah, we got to see if we can sit there and do hot seats this long. [00:33:00] SV: Yeah, exactly. Or be able to get them done in thirty minutes because that’s about what we’re allowing for those hot seats. [00:33:07] CS: Especially with the way you and I talk. [00:33:08] SV: Exactly, we’re going to have a timer for sure. I’m really excited about this and it’s going to be in Denver, Colorado on May first and it’s already booked. We already have all thirty spots booked so really excited for that. We are going to do a few more of these kind of like in training for the hot seats and all that so it’ll be like our training for the prize fight, I guess, is what we’d be doing here. I’m really excited about it and I just love being able to sit around and talk about it and this is our way of doing it here live on the podcast. If anyone wants to definitely sign up in the future for a possible one that will maybe be coming to an area near you or maybe you want to come to that area, you can head over to theamazingseller.com/live. Again, that’s theamazingseller.com/live, there’ll be like a registration page there and you can just sign up to be notified when the next one will be held and it’ll be really, really awesome. Chris, I want to thank you again buddy and I appreciate it and is there any last little bits of advice you want to give the listeners? [00:34:11] CS: Other than make sure you check depth of market and seasonality of the product I think we’re good to go, Scott. Those are the two mistakes that we see all the time. Every time I get a question from somebody about a product, those are the two things that they missed or didn’t look at over a long enough period of time to really get an understanding of and you and I cannot stress enough how important those two things are in the product research phase. [00:34:38] SV: Yeah, it means a lot and it means the success of your product or the failure of your products. In this case I don’t think it’s a failure, I think it’s a learning experience and I think that it’s just understanding now that you’re going to have peaks and valleys throughout the year with this type of product, which is fine but now you have to balance out your portfolio. [00:34:57] SV: Yeah. All right man, this has been awesome, I will talk to you soon and everyone else listening, remember I’m here for you, I believe in you, I’m rooting for you but you have to, you have to … Come on, say it with me, say it loud, Chris you say it with me today, take action. Come on, you missed it, let’s do that again, one, two, three, take action. All right guys, take care. Have an awesome, amazing day and I’ll see you in the next episode. Oh, yeah, hey, I almost forgot I wanted to mention that we are now adding transcripts to these episodes. If you guys want to have a full transcript so you can follow along, you can read, you can download them or you can read them on the blog, just head over to this episode and that would be theamazingseller.com/162. You’ll get all the show notes and you’ll have the ability now to read the transcripts or even download them. Just wanted to remind you, once again, take action, have an awesome day.